The use of composite parts is integral to the future of aerospace manufacturing in order to build lighter, more efficient planes. 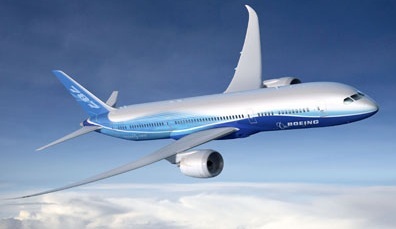 While the operating costs of airplanes constructed of composite parts are lower, the manufacturing costs of such airplanes are typically higher. Composites—lightweight, strong, and durable—are more expensive than steel and aluminum, and metrology-assisted assembly is critical to making the manufacturing process cost effective. As composite parts become more extensively used, the role of metrology is becoming more widely recognized as a value-added component. Generally speaking, metrology-assisted assembly with advanced metrology equipment and sophisticated software, such as SpatialAnalyzer® (SA), results in shorter production cycles and greater cost efficiency. This is especially true in the aerospace industry where composite parts are becoming more common. Compared to metal, composite is hard, unforgiving material; so accurate assembly adhering to very narrow tolerances is absolutely necessary to “get it right the first time.” In addition to helping manufacturers avoid costly scrap and rework, the use of metrology software saves time and money by replacing hard tooling with 3-D models. Instead of being limited to fixed tooling structures, 3-D models can serve as flexible tooling, allowing users to react more flexibly to engineering changes. When it comes to measuring large-scale parts like those used in aircraft manufacturing, portable metrology instruments offer convenient, user-friendly solutions. Software like SA can integrate multiple instruments, as well as synthesize and optimize data from a multitude of sources. SA enables users to share equipment and therefore choose the combination of measurement technologies that best fits the measurement job – all with a common interface and the capability of running any number of measurement sensors simultaneously. The past fifteen years has seen an expansion of metrology use throughout the manufacturing process, particularly in the case of aerospace. Today, metrology is widely used in production and is being adopted by design teams and other departments further upstream in the production process. The growing acceptance and application of metrology-assisted methods in aerospace manufacturing has led to the integration of metrology in everything from production, to process control and assembly, to fully-automated inspection, and troubleshooting. This has basically brought metrology, and therefore quality, fully “into the fold” of the entire manufacturing process. When fully integrated in the manufacturing process, metrology and quality become not only value-added but required.